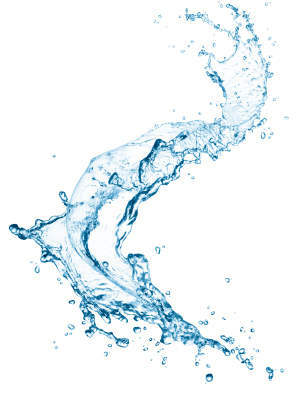 Did you know we recycle 98% of our water? New System’s high-tech Milnor wash capsules improve the efficiency of New System’s laundering in many ways: lower water consumption, better chemical performance and lower energy usage. All of those benefits lead to happy New System customers from both the healthcare and hospitality industries. Let’s take just a quick look at water consumption. New System strives to improve their overall impact on the environment by using only quality machines proven to use less water and energy. Each day, New System processes about 28 tons of laundry and uses approximately 85,000 gallons of water. While that number may seem high, what is interesting is that they are able to recycle about 98% of their water because of their Milnor wash capsules high-tech design. FACT: The average American family washes almost 400 loads of laundry each year and the average machines uses about 41 gallons of water each load. That means in ONE YEAR the average family uses less than 20% of the water that New System uses in ONE DAY. That is why we at New System take our water usage so seriously. The Milnor capsules use a counter-flow method, which ensures progressively cleaner water throughout the wash process and saves water through reuse. It also means less energy is needed to heat the water for washing and results in less sewer use. Basically, they are able to reuse portions of each loads water in the next, saving only fresh water for the final rinse cycle. The Milnor capsules also make it possible for the washing chemicals to be used more effectively so that less needs to be used in order to achieve the same fresh, clean results. Because the washing capsules are able to extract much of water in the linens, that means that the overall dry time for each piece is decreased, meaning improved energy use all the way down the laundry line because less heat energy is required in dryers and flatwork ironers. Less water to heat and the ability to wash at lower temperatures because of the efficient wash capsule design means further energy savings. There you have it! Just one more way technology is helping us improve our service for our customers. For more ways you can help conserve water at home, check out these tips from Water Use It Wisely.